Common is a busy man these days, winning a Golden Globe (for the song "Glory" from Selma), getting nominated for two Grammys and an Oscar (also for "Glory"), and providing the voiceover for two stirring Microsoft ads on the Super Bowl. 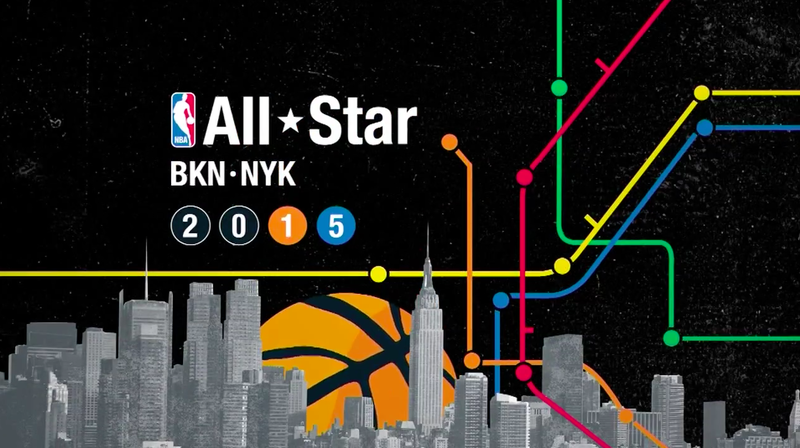 As if that weren't enough, he also found time to voice this new ad promoting the 2015 NBA All-Star Game in New York. Created by the New York office of DDB, the spot mixes live action and animation, with flashes of NYC landmarks like the Statue of Liberty and the Brooklyn Bridge. The ad goes online today and will appear soon on those TV screens in New York City cabs and on your living room screen as well. Oh, and if you think Common is perpetually holed up in some recording studio, think again: He'll also play in a celebrity basketball game in the run-up to the All-Star Game, which takes place Feb. 15 at New York's Madison Square Garden.